Hello friends! Welcome to a new edition of RGL updates. 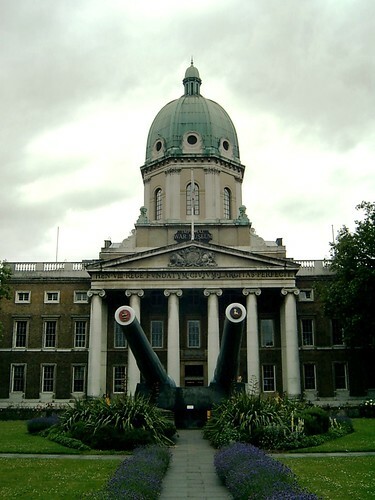 The featured article this week is the Imperial War Museum, more than just a collection of militaristic trinkets of imperialist conquest, though you know, there's that. Actually it's a very engaging museum that surveys all of the worst of humanity but in an interesting way. 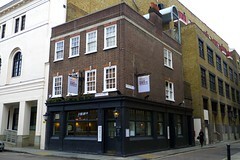 There's a new article in the form of unspectacular high street pub The Duke of York, just off Oxford Street and Bond Street in Mayfair. And a second for Scnitzel Chicken and More, an Israeli restaurant in West Hampstead, which you would visit if you felt like schnitzel, or chicken, or chicken schnitzel. 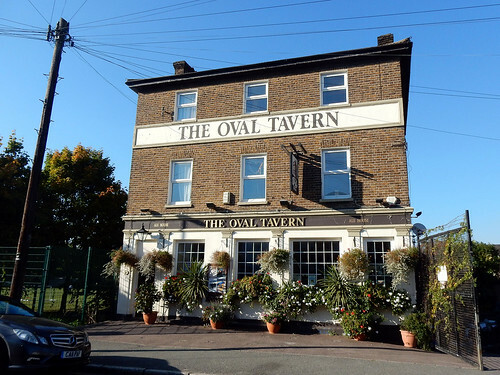 Finally some lingering GBG 2015 pub updates: The Hare and Billet in Blackheath featuring mislabelled stew and Belgian bottled beers; The Earl Haig, which is in Bexleyheath; The Door Hinge, a tiny Welling micropub, friendly and with ales on stillage by brewers you probably don't know; and The New Cross Turnpike, which is not in New Cross but also in Welling, a skylit Wetherspoons. Morning RGL! Apologies for the slight lateness of this week's post, your correspondent was out investigating the beverages and attractions of E20 (verdict: AWESOME, reasonable-sized Olympic Park latte is £2.40). 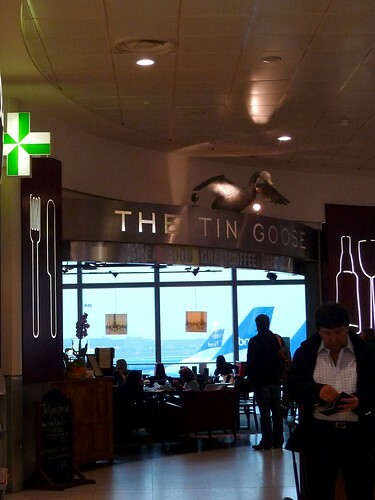 This week's featured article is the Tin Goose, TW6 1AP, a surprisingly decent pub inside Heathrow Terminal 1. Last week you could see 38 buses from the pub's window, this week you can see PLANES. Best of all it opens at 5am! New to the site is the excellently-named Saucy Sausage, a greasy spoon in Addiscombe with a decorative flair for ketchup sachet arrangement. 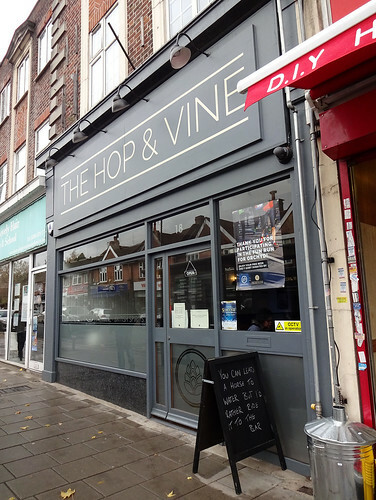 Closures: Patterson's, a posh-nosh restaurant in Mayfair is having a bit of a revamp and is 'closed until further notice', while Peaches House, a Caribbean takeaway in Walworth is consigned to the folder of RIP. However rising zombie-like from the grave is Manchurian Legends! Remember we said it was closed the other week? Well, even the best London-based review blogs can jump the gun sometimes. We're sorry, still-open Manchurian Legends! The featured article this week has been selected to be appropriate for your seasonal gift-giving needs. 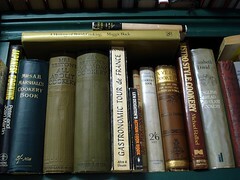 It is Category Bookshops. There are still many lovely independent bookshops in London. Three new additions to RGL are: Pollen Street Social, fine dining in Mayfair; Meatliquor, greasy burger dining in Marylebone; and Crystal China, Chinese dining on Tower Bridge Road. There's also been an update to the write-up for Galicia, a Croydon tapas bar. 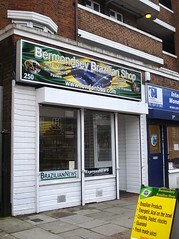 New featured article — Bermondsey Brazilian Shop, SE16 4BD. Sorry for not posting last week! bob and I have been moving house, and had a lot to do. 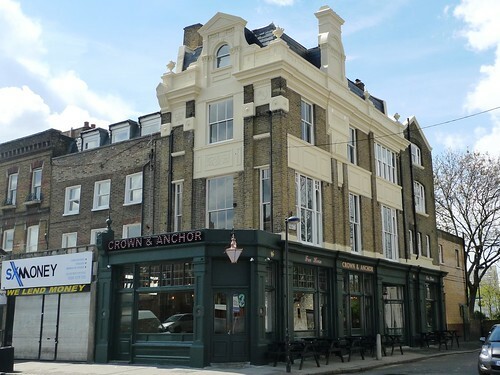 I did get the featured article up on RGL itself, just didn't post about it here — it was Dial Arch, SE18 6GH, a Young's gastropub in Woolwich. This week's featured article is Bermondsey Brazilian Shop, SE16 4BD, a small cafe on the Bermondsey/Rotherhithe borders. 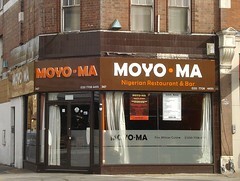 They serve drinks and desserts during the week, and a buffet of hot food on weekend lunchtimes. They also sell various Brazilian groceries. 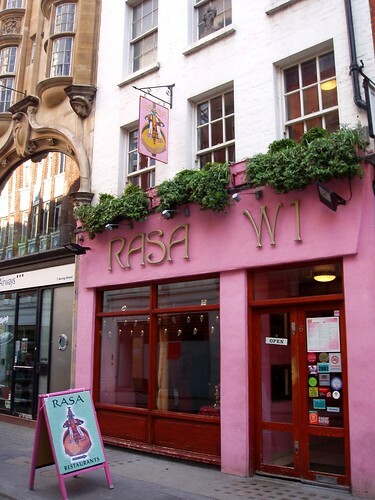 Recent additions to RGL include Princess Garden, an upmarket Cantonese restaurant in Mayfair; and the Melbourne, a Stonegate pub in Wallington. 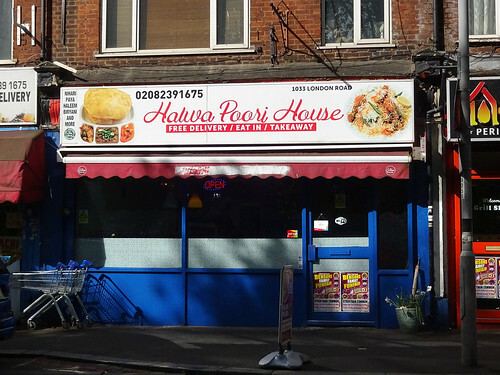 Reported permanent closures are Hiba on Borough High Street, Himalaya Palace Cinema in Southall, and Ochre Lounge in Chiswick. Temporary closures are the New World in Chinatown and the George on Borough High Street. New featured article — Dean Swift, SE1 2LX. 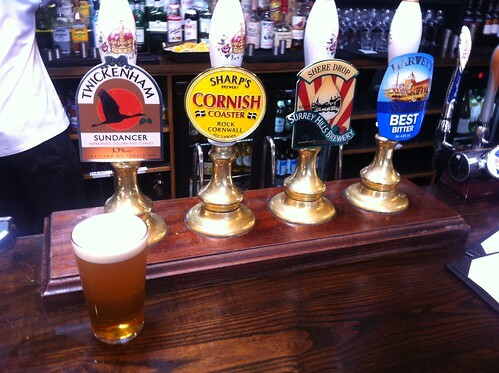 This week's featured article is Dean Swift, SE1 2LX, a good real ale pub near Tower Bridge. 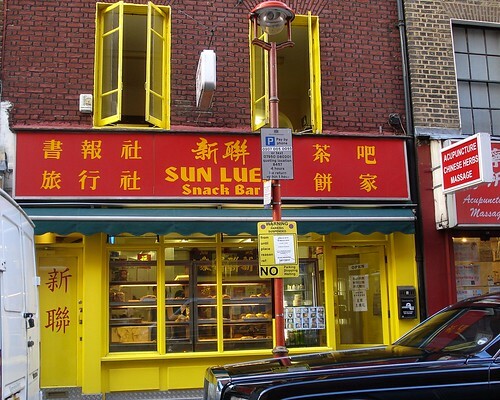 Recent additions to RGL include New Cavendish, a sandwich shop and greasy spoon in Fitzrovia; Marlborough Head, a pub in Mayfair; and Home, a Chinese cafe in Lewisham. No reported closures! Hurrah! 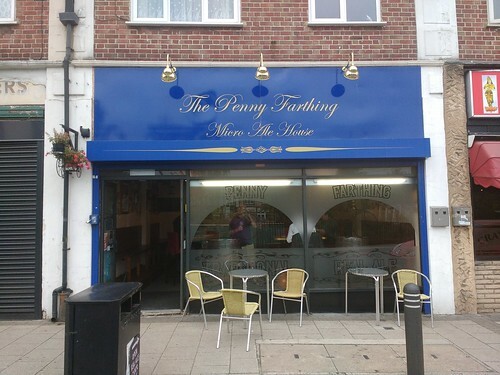 One reported closure: Presto Cafe on Tower Bridge Road. kake - New featured article — Bermondsey Brazilian Shop, SE16 4BD. kake - New featured article — Dean Swift, SE1 2LX.